The Hazard Bulldogs will be on the road for the third consecutive week to take on the Briar Jumpers of Somerset in a week 3 match up of familiar foes. 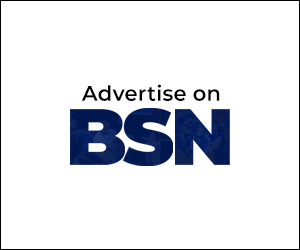 In what has become an annual tradition of late, the Bulldogs will look to extend their regular season win streak to three and Somerset is looking to bounce back from a weather shortened game against Beechwood that saw them fall 28-0. This is an important match up for the Bulldogs as it will give them a gauge of where they stand against a comparable opponent to the #1 team in Class A, the Beechwood Tigers. Somerset looks as though it will be the toughest opponent yet for the Dogs in this young season. Somerset had put up some big numbers in the first two games of the season. They handled 5A Lincoln County with little problem, scoring 41 points while shutting out the Patriots. The Briar Jumper defense recorded 4 turnovers (3 fumbles and 1 interception) against the Patriots along with 2 blocked punts, 1 of which was returned for a touchdown. They followed that up with a 34-7 victory over 1A Williamsburg. Defensively the Briar Jumpers had been solid up until the Beechwood Tigers exploded for 28 points in a half against them. 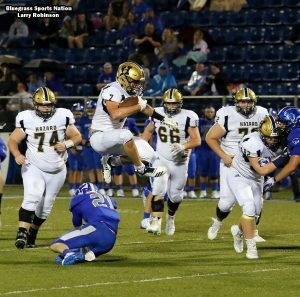 The Tigers are one of the fastest all around teams in the state and are led by senior running back Logan Castleman who scored two touchdowns and gained 100 yards on the ground before the game was eventually called. Somerset has also seemingly scored at will putting up 75 points in the first two games of the season. Their offense is led by sophomore quarterback Kaiya Sheron. The Briar Jumpers have had a balance offense attack this year and seem to expose whatever an opponents weakest areas are. They have thrown the ball well at times 19/37 for 283 yards and rushed for 436 yards (305 against Williamsburg). Players to watch for offensively for the Briar Jumpers are running back Alex Miller (105 yds against Williamsburg) and and receivers Jase Bruner, Payton Ellis, Alex Miller, and Kade Grundy. The Bulldog players were able to give Coach Mark Dixon his 155th win on Friday night in his 200th game. This is his 16th year at the helm of the Bulldogs for a 77% win percentage over that span. Hazard seems to be improving every week and have been the most physical team on the field in their first two games of the year. Their defense, after giving up a few big plays in week 1 against Harlan County, stiffened up last week and kept the Letcher Central Cougars at bay and only gave up 1 touchdown before the young Bulldogs were put in after halftime and gave up the final score of the game during a running clock contest. Defensively the Bulldogs have been in the right spot for most of the year and have made it hard on opponent’s offenses by swarming to the ball. Hazard has caused 3 turnovers on the year, 2 interceptions (Pelfrey and Stupart) and recovered a fumble (Turner). Blair has put up good numbers through two games ( the last in rain soaked conditions) going 21/30 and amassing 317yds through the air. The Bulldogs have also chewed up yardage on the ground gaining 477 yards rushing. Besides the obvious offensive weapons in quarterback Blair and running back Pelfrey, another bright spot for the Bulldogs has been their consistent line play. They have opened up big holes for the running backs and given Blair plenty of time so far this year. Lead by seniors Kenzie Caudill and Draven Goins, it has a good mixture of older and younger talent. In addition to the seniors, juniors Matt Couch and Dalton Strong are aided by freshman Kenton Beverly and filling in nicely last week for an injured player, freshman Cameron Caudill. Also, a big question mark early in the year was the defensive line. They lost 3 starters from last years team with Jacob Brashear being the only returner with any substantial playing time. So far the new guys Ben Adams (2 years offensive line starter), Parker Holbrook, and Nate Smith, along with Brashear have clogged up holes and controlled the defensive line of scrimmage. Both lines will be tested Friday against the Briar Jumpers who seem to consistently manufacture top notch lineman that give offensive and defensive coordinators fits. The Bulldogs will have to win the trench warfare Friday night if they want to head back east on the Hal Rogers Parkway with an intact undefeated regular season. After two relatively easy wins for the Bulldogs, Friday night’s contest could be a battle. Game time is set for 7:30pm on September 7th at Somerset High School.